Shopping for Harry Potter Cards? Who is the half-blood prince? 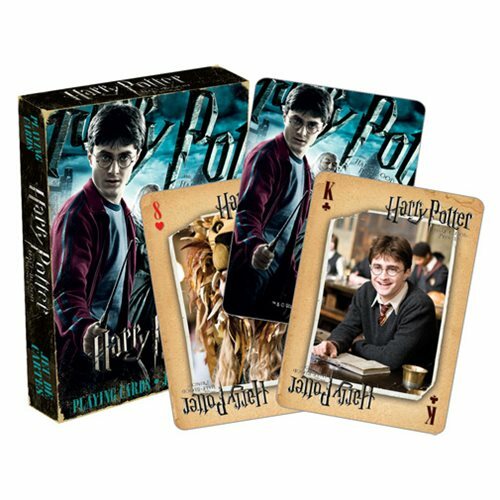 If you've read the book or seen the film, you know the answer to that question and will enjoy these Harry Potter and the Half-Blood Prince Playing Cards even more. Just be wary of Draco Malfoy and always alert for Death Eaters!